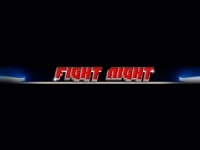 Fight Night is a 5-reel 25-palyine interactive and rewarding video slot game that features a range of possible winning combinations and up to 100 free games. 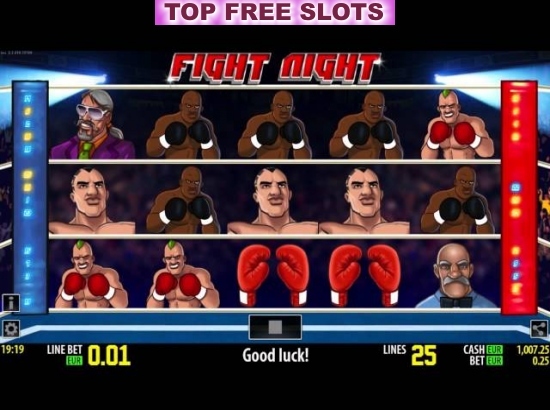 Designed as a boxing ring with supporters and other boxers, Fight Night also features scatters and wilds, as well as more than a sizeable $200.000 worth jackpot. Betting from as low as $0.01, you will have a chance to collect 3 or more corresponding symbols with Free Spin that appear anywhere on the reels. After that, you have to click on any Free Spins icon in the winning line to see with how many free spins in the range 0-100 you are awarded. All your winnings during this mode will be tripled. In addition to free spins, the maximum bet of $25 is your way to enter the bonus round and score the game's largest prizes. Houdini - Bonus Feature 25 Line Slot from JackpotJoy. Fortune Temple - Bonus Feature 25 Line Slot from JackpotJoy. Fortuna The Dragon - Free Spins 25 Line Slot from JackpotJoy.